The Care Providers of Minnesota 70th Annual Convention & Exposition is recognized as the premier professional education opportunity in Minnesota, bringing together various members, experts and resources. 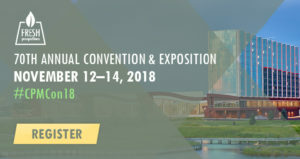 Members of the Pathway Health team will attend, exhibit and present at this convention November 12-14 and cover a wide array of topics across the healthcare spectrum. “Compliance and Ethics Under the New Phase 3 Requirements of Participation,” presented by Leah Killian-Smith November 12 from 1:45 p.m. – 2:45 p.m.
“Double the Data – More MDS Data Under Section GG,” presented by Karolee Alexander November 12 from 3:00 p.m. – 4:00 p.m.
“Nursing Competencies – Meeting and Exceeding Expectations,” presented by Lisa Thomson November 13 from 3:00 p.m. – 4:00 p.m.
“MINIBYTE TIC Tips: Quick Tips on Trauma-Informed Care,” presented by Leah Killian-Smith November 14 from 9:00 a.m. – 9:15 a.m.
“MINIBYTE Need-To-Know Acronyms and Their Impact on Operations,” presented by Lisa Thomson November 14 from 9:15 a.m. – 9:30 a.m.
“SNFRM, SNF/NF PPR & Five Star Readmission Measures Toolkit,” presented by Lisa Thomson November 14 from 9:45 a.m. – 10:45 a.m.
“Opioid Overuse and Drug Diversion in Post-Acute Care,” presented by Leah Killian-Smith November 14 from 11:00 a.m. – 12:00 p.m.
“MINIBYTE RoP Phase 3: Quick Tips,” presented by Karolee Alexander November 14 from 11:00 a.m. – 11:15 a.m.
*MINIBYTES are 15-minute presentations by one speaker on a focused topic. To dig deeper into any of these topics, or to discuss how your team can stay on the right path in your facility, visit the Pathway Health booth #59 at the convention. Peter Schuna, Dennis Anderson, Lisa Thomson, Jane Burch, Leah Killian-Smith, Karolee Alexander and Stacy Jones will be ready to connect with you at the following times. November 12 from 12:30 p.m. – 5:00 p.m.
November 13 from 8:00 a.m. – 12:00 p.m.
For more information or for further discussion, contact us.